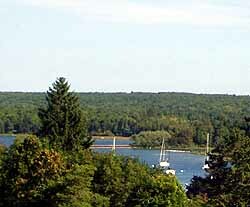 As a long term resident, I have enjoyed many of the special activities available in Fish Creek, Wisconsin. 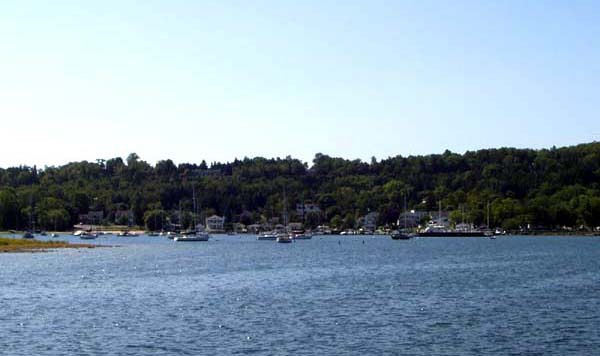 See the list of Fish Creek activities listed below for your vacation stay in Door County. All are within easy access of the Ellmann House. Watch the comings and goings in Founders Square from the porch. Visit the many shops in Fish Creek. Walk down to the Bayside and listen to live music. Walk to the dock and have lunch with a sandwich from the General store in the Town Park. Sit on the porch and have a cocktail. After all that walking during the day, the porch feels really good! Go to the beach (Fish Creek or Peninsula Park). Sit on the porch and check out the colors in the Fall. You can see across the harbor to the park and see miles of changing foilage. Rent a bike and ride the bike trails in Peninsula Park. Visit the Noble House (2 blocks north of the Ellmann House). Take a boat tour of the area. Hike the trails in Peninsula Park. Watch the sunset at Sunset Park.